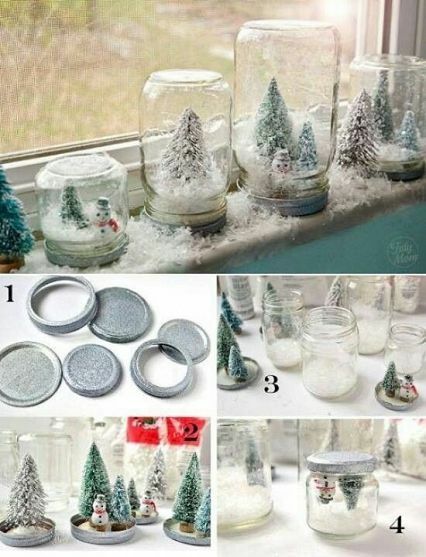 All you need is a mason jar, some hot glue, faux snow (white stuff they sell at Micheals), and some tree trimmings. Optional items include jingle bells, deer figurines, candy canes, glitter, or any other seasonal knick-knacks! 1. Hot glue whatever you want on the “ground” of the snow globe to the top. 3. Screw the cap on. 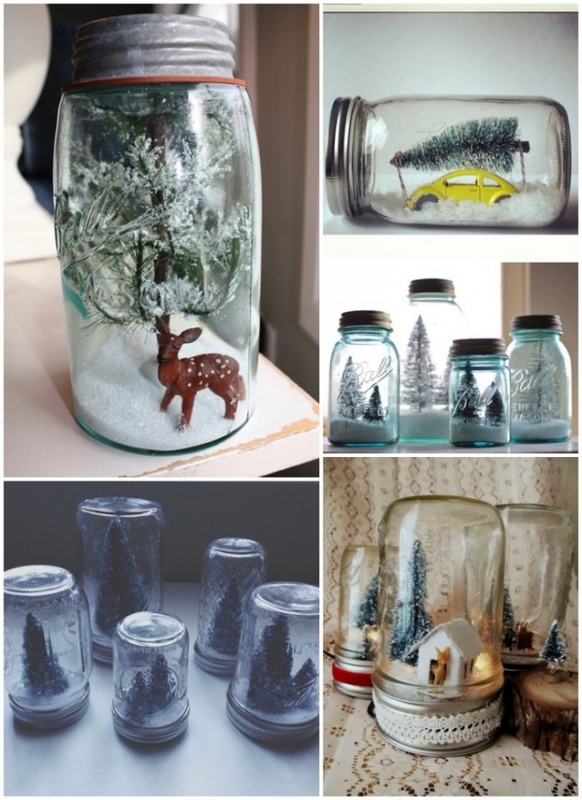 And some really cute ideas found on Pinterest!